Secure shopping cart software with the controlling e-commerce options necessarily helps to create your own user friendly online store. This easy to use software is also make simplicity to accept credit cards online. You may get benefit by expanding your trade globally on World Wide Web. 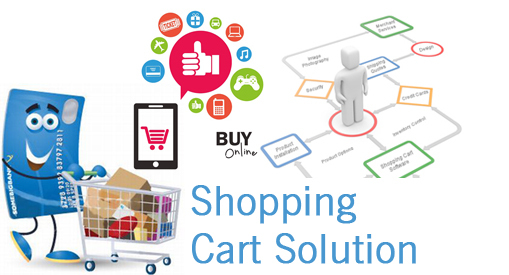 Our shopping cart solution may help in starting your online store now. OUTSOURCING WEB SOLUTION provides various tools of shopping cart to build a successful web business to reach new markets. As internet users are increasing day by day, the popularity and use of shopping cart are increases too. It is the medium to generate more revenue. It is open 24/7, all days a week for the customers all across world. We have developed different e-commerce shopping cart applications. Our designer team brilliantly provides custom solutions of e-commerce shopping cart by understanding all kind of requirements of clients. We slot in different e-commerce elements as a center of attention to provide a single package solution. Our effective solution surely enhances sales growth and perk up communication between clients and suppliers. Our expert team makes use of the languages like PHP, java and dot net for the unbeaten building of shopping cart. It may punctually handle payments and security.